If you have been following my blog you will notice my posts lately have talking about utilizing owned and earned media. These types of media are essential to the success of your business but you should not stop there. 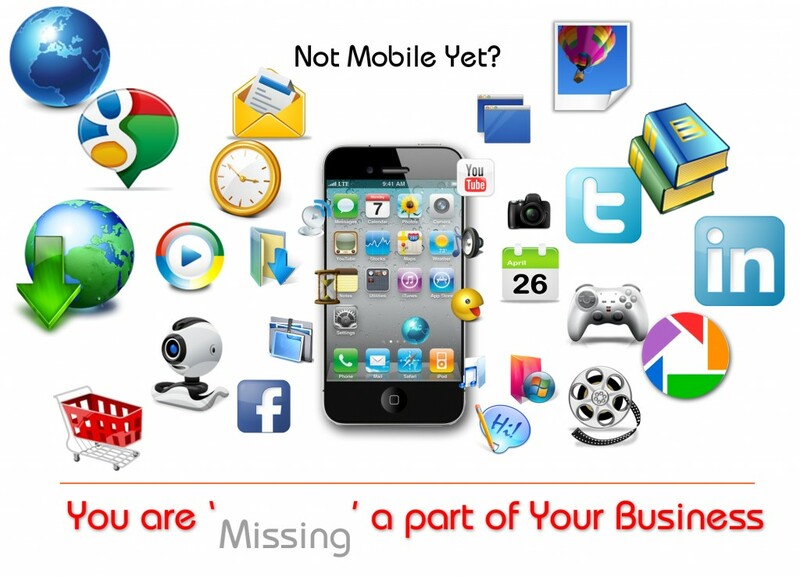 As a business you should still be utilizing paid media. 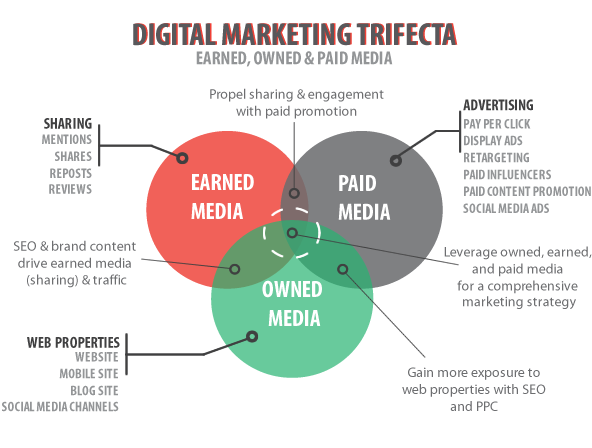 As you can see in the above image, by utilizing earned, owned, AND paid media you will create a comprehensive marketing strategy. Paid media directs traffic to your owned media and promotes the content in order to gain generated earned media. What is great about paid media is that it guarantees immediacy, has control and scale. Granted you have to spend money but the amount you spend, if done right, will be nothing compared to how much you will make. Since social media is so popular it has given businesses another chance to promote or sponsor their ads on sites, like Facebook and Twitter. 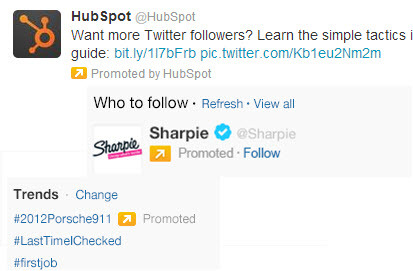 HubSpot, below, is a good example of paid media. An interesting form of paid media that is extremely beneficial is Native Advertising, which the HubSpot ad above is one of. This is where the ad experience follows the natural form and function of the user experience, in which it is posted. The goal is to not disrupt the user experience. The advertisers want to offer information that is helpful and similar to the other information on the site, so that the content is engaged and has a higher rate. Currently 62% of publishers and media companies offer some kind of native advertising program and the most popular forms of native advertising are sponsored blogs, sponsored articles and Facebook sponsored updates. Cracked is a great example of what good native advertising looks like. Brands work directly with Cracked to create sponsored content. Currently fifth on the Native Advertising Leader board (http://nativeadvertising.com/#/leaderboard) is their story 5 Real-Life Stories of Twins Creepier Than Any Horror Movie. As you can see Cracked is known for writing funny and engaging material that is written in the same tone as a non-sponsored article. Forbes is also doing very well in the native advertising land. They have decided to name their native advertising product BrandVoice. They do not want it to represent an ad but leadership. To be authentic is their goal. 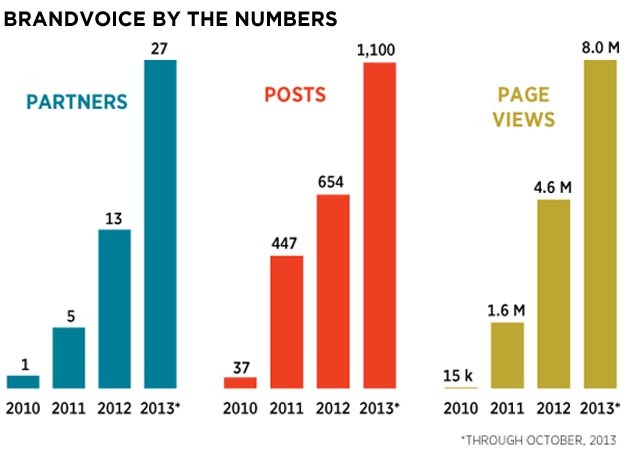 They want to “foster an environment in which journalists, marketers, and audience could exchange ideas with one another.” Below is a graph representing the growing numbers that Forbes has had in their partners, posts, and page views since joining with SAP and creating their native advertising program. As you can see Forbes’s digital partnership has been growing and still will be. Like I have been saying content is everything and that is what drives native advertising. Also being transparent is a key player in being successful. Since native advertising is a form of paid advertising this strengthens my point that paid media is not dead. Paid media is evolving and journalists should make sure to do the same. You should not cross paid or native advertising out of your marketing strategy and if you haven’t yet started native advertising you should do it now. Moving on to my last topic of paid media, a quickly growing sector, is programmatic ad buying. 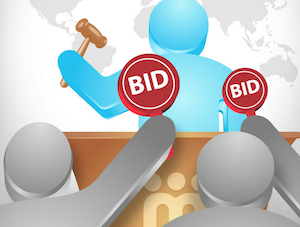 Programmatic ad buying is as simple as it sounds. Businesses buy ads, like you would buy products on Amazon. This type of buying is of action form and is in real-time. The only difference is the computer does all the work for you. It is like when you do your taxes on Turbo Tax, a few clicks and your ads are bought and you can go on your merry way. What is great is that the advertisers buy ads individually so that a consumer is presented an ad tailored specifically to them. You are enriching the consumer experience with tailored content and it is way easier than the traditional ways of buying ads because it is so quick and easy. 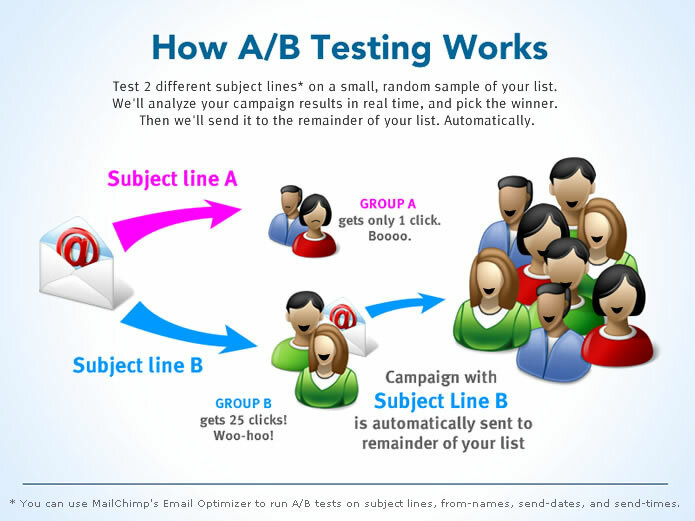 You don’t have to buy ads that are tailored to a large segment of individuals with the hopes that some of them will respond and react. This software does the work that humans just can’t do. This may sound scary because it seems that once again computers and software are replacing the jobs for humans, but that isn’t the case. Computers can’t run all by themselves. The media buyers will still have jobs but instead of making calls between the buyer and seller they will be analyzing data on a computer screen. This will require that people learn more skills and I know that change is hard but it is essential. People need to be willing to change and learn new tricks. Programmatic ad buying is going to make their jobs easier, once they learn all the skills. Not only is programmatic ad buying thriving on in the internet but it is moving to television. This is going to help advertisers avoid the issues of the DVR. 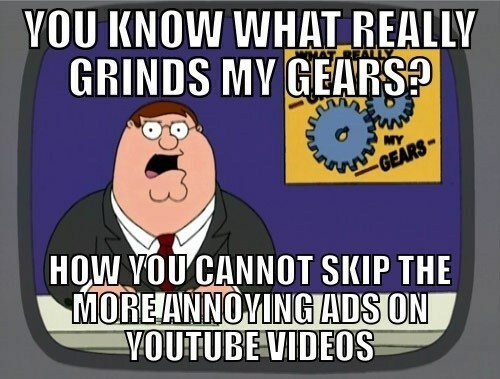 Soon ads will be so targeted to the viewers that they won’t want to change the channel. There are still many bugs that need to be fixed before this becomes reality. Also the ad buying will most likely not be real-time, like it is now, but it will be way quicker. I’m excited to see how this all turns out. Below are some links that provide more information on the topics I discussed in today’s blog. Social media is not just for tweeting your thought of the day or updating your status about the “amazing” lunch you just had, which you just had to take a photo of. It can be used to further enhance your business and get your customers more involved in your company than you ever thought possible. I have never been a “social media guru” and have usually attempted to stay off of the social media “bandwagon” because I never appreciated the value that it can bring to ones image. I was very wrong with this mindset because there are so many different things that can be done with the different platforms of social media and every business can stand out in a crowd, if used correctly. The different types of social media that is out there can be a bit scary to comprehend when you first jump into the online world, but they all follow a similar etiquette when it comes to promoting your brand and gaining leads. Like I have been saying in my last few blogs, it is all about content. Your content needs to be informative but humanized. Don’t worry about always selling your brand and your product. Give the customers something fun and interesting to read. There are many different tools out there that will help track what your customers are talking about and what they found particularly interesting that your company has shared with them. Google analytics(http://www.google.com/analytics/) is a great tool that can be very handy when it comes to tracking your blog or your Google+. It is a free analytics tool that will help provide insight into your user’s behavior, the traffic that your page receives, and the behavior on your website. This tool will help you by providing useful data that will help you get to know how you can better serve your customers. Pinterest, I feel, is very unacknowledged for its promotional benefits and generation of leads. All a business has to do is pin a picture and link their website to the picture. If you pin it to the right board and promote it to the right audience than you generate many leads. One thing to keep in mind, when it comes to your audience, is the gender that the site is most likely to be used by. For example, women are five times more likely to use Pinterest than men are, while men are supposedly more likely to use Google+. By knowing this you can customize your sites to bring in the right type of audience. Pinterest has many tools that you can use to get the fullest advantage out of your boards; Curalate (http://www.curalate.com/) helps measure your pin and board engagement. It helps find advocates and generate traffic. This is a great tool to use because it can find out what types of pins are becoming popular and what are not. This tool can also be used for Instagram. Currently in beta testing for Pinterest is promoted pins. These pins work like any other pin, but have a little icon in the right hand corner. This icon is clicked on by the user and they are given more information about the pin and the company that it came from. What I feel is great about this type of promotion is that it is not pushed into the customers face and the people clicking on it genuinely want to learn more about the product and business that it came from. This leads me into the next etiquette rule that you should always follow on any social media site: Don’t be pushy. Update continuously but know when to promote and how much to promote. If you tweet all of your information at the exact same time then you are going to flood your customers feed. They are going to eventually get bored and then ignore what you are trying to say. In this blog she stated some interesting facts like, the engagement rate for Facebook is 18% higher on Thursdays and Fridays and Twitter engagements for brands are 17% higher on weekends. As you can see there is a bit of a trend here. More people are engaged near the end of the week, but that isn’t the case for blogs. Mondays are the highest traffic days for an average blog. Not only should you focus on the day that you are posting but also on the time. You want to post when there is the most users are one the site but at the same time you don’t want to be lost in the feed. Belle provides more information about the best times to post in the link I posted in the paragraph above. One last very important rule of etiquette that you should always follow is: stay engaged. Don’t forget about the users and don’t ignore them either. If you allow for your users to comment on your pages then make sure you answer them back. I would answer back in 24 hours, if possible. You want to keep building and maintaining that relationship with the customer and make sure they know that you care about them and what they have to offer your company. If you leave a comment ignored that can result in the loss of a customer, but also make sure that when you do comment back you do it appropriately. A bad example of responding to customer comments would be the very famous Applebee’s incident. Long story short a picture of a customer’s bill was posted on Reddit, making fun of the “10% tip for God” that was left instead of for the waitress. This picture went viral and Applebee’s responded by firing the waitress responsible, for violating the customer’s privacy. People were very angry and felt that Applebee’s was being hypocritical because they post positive feedback from customers on their page. Negative opinions flooded Facebook and Twitter. It didn’t get better from there because an Applebee’s employee decided at 2am to respond to the comments. Not only did they respond at that time but they made it a comment and not a Facebook status. They then being tagging people in their comments and ended up arguing with the customers. There are of course more social media etiquette rules that you should follow but I highlighted the ones I felt were the most important to know. I would like to give a shout out to the people at MOZ. They just put out this very lovely beginners guide to social media, which is filled with techniques and tools you can use to further enhance your social media presence and your business. Hi, my name is Taylor Franks. I am a senior at Western Washington University. I am double concentrating in Marketing and Management Information Systems. To pay for college I work as a cashier at Albertsons and as the Assistant Business Director for the Associated Students. In my free time I am involved in the IT Leadership program, where we spend the school year planning the annual WISC event and improving the MIS department. I am also the VP of Membership for the Student Marketing Association. I will not graduate until Fall 2015, which gives me the opportunity to look for internships for the summer. When I grow up and join the real world I am unsure about what I want to do. I like to take opportunities as they are presented to me. . I would like to work in some sort of management position, either in Marketing or IT. I would love to work for Microsoft or Amazon. Maybe one day I will do some sort of consulting. I am taking this Digital Marketing class mainly because of the feedback I have heard from other students. There has been raving reviews, which is hard to come by with some of the marketing classes at Western. Also in this society having knowledge of technology and useful resources is the key to survival. This class will hopefully help me advance in my already known skills and teach me new ones. I also am very excited to obtain a Google Analytics Certificate. I heard that there is an opportunity to take the qualification exam at the end of the quarter. I have been meaning to get this certification but have lacked the motivation. 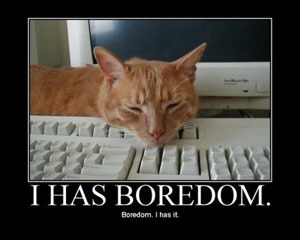 The main thing I hope to learn and improve upon in this class is what I am attempting to do right now; blogging. I’ve never felt that I had anything to say that was interesting enough for someone to want to read. Being able to share my insights about the marketing world is going to be challenging but fun and I’m very excited. Well I do believe I have shared enough about myself and it is time to move on to the marketing aspect of this blog post. 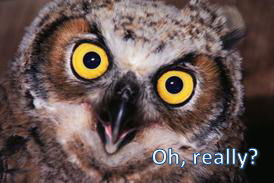 I was instructed to read three articles before the start of this class. This article was written by Regina Pefanis Schlee and Katrin R. Harich. This is a study about the skills and knowledge required for different levels of marketing positions and how marketing courses need to better prepare their students. The study was done using Monster.com. The requirements and skills were compared for jobs starting at entry-level positions all the way to upper-level positions. Five metropolitan areas ( Atlanta, Chicago, Los Angeles, New York, and Seattle) were used as a comparison as well. Before going into the conclusions that were generated from this study I would like to say that colleges do need to better prepare their students for the real world. As a college student myself I have had many experiences hunting for jobs that I wished I had been better prepared for. Reading textbooks and writing papers is not the adequate amount of knowledge or skill needed for the real world. A student needs to be placed in a real life situation and marketing classes, like this one, should target toward these skills. The article mentions that advisory boards are a crucial element of business schools and that is defiantly what most of the departments at Western are missing. . Currently I am in the process of creating an advisory board for the MIS department. I feel that these are important because advisory boards allow for students to find mentors in their field of interest and learn the skills that may not be taught in the classroom. This article gives a fair share of data and information about skills and knowledge needed. I am only going to share a few that interest me but I have provided the link, below, in case you are interested in reading more about the findings from this study. On Table 3 I found it interesting how little the concept of ethics matters in the business world. It is at it’s highest of 13.1% in the entry level jobs but lowers to 4.7% by the time someone advances to management. With the dog eat dog world we live in now I wouldn’t find this interesting except for the fact that I will be paying money to sit in a business ethics class this quarter. If ethics have little importance, when moving up the food chain, than why am I wasting my hard-earned money to take this class? This is supportive in my earlier opinion that marketing classes need to target more towards the skills and knowledge needed in the real world. I’m not saying ethics are not important, they are especially important to me, but students shouldn’t be sitting in a quarter long class about the topic if it has little importance when finding a marketing position. This finding also says a lot about our society and the business world in general but that will have to be saved for another time. Another finding that was presented in this article was that entry-level job’s require more technical skills than management positions. I agree with this finding and have always been told this from my professors. A book that I read recently, Haunting The CEO, has a quote in it that says “Early in our careers, we use our technical skills the most, and our management and people skills only a little. When we move into management ranks, our use of technical skills drops while our use of people skills increases. When we move into executive ranks, as a CIO or CEO, for example, our use of technical skills is minimized and even our use of management skills drops.”Hughes, John. (Haunting the CEO. Seattle, WA: Spotless Books, 2011. eBook.) This supports the findings in the article because the farther we move up in rank the more we deal with people and customer satisfaction. No longer are we coding or working through analytics but instead making sure the customer is satisfied and the employees are completing their work in time. This article, written by Shar VanBoskirk, states that by 2016 interactive marketing will be at the same level as television, at least the money spent will be equal. There were many factors stated about why interactive marketing would increase but the most interesting reason to me was customer obsession. It is stated in the article that firms “Will invest to create customized experiences across their customers’ preferred touch points.” We as a society are becoming obsessed with having personalized items. For example we choose what apps and programs are put on our smartphones. We choose which ones we support and which ones work for us best. A company can do all the advertisement they want but until they have an obsessed consumer base, like Apple, they will never be successful. I like that it is all about the customer and the experience they will have with the product. It is not surprising to read that ” A portion of marketers’ search budgets will move to mobile and social networks as users rely more on non-PC devices and nontraditional search engines like YouTube or Facebook for finding.” This finding is supported by a study done by ComScore. 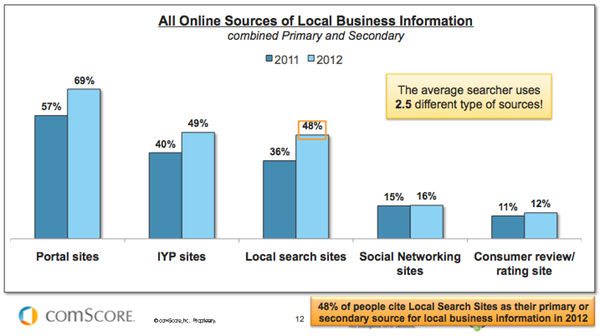 Below is a table showing the usage of different sites from 2011 to 2012. As you can see the portal sites raise from 57%, in 2011, to 69%, in 2012. This is a 12% difference. I agree with these findings. Most days I find myself looking up websites on my phone because of the locations I am in. Though this study was done in 2012 it can only be assumed that searches on phones will keep increasing, especially since phones are becoming better computers than PCs. There were many more forecasts in this article, but I only shared a few. If you are interested and would like to read more I have inserted the link to the article in the Bibliography section. I am now going to move on to the last but most important article. Just to make this clear I have never watched Game of Thrones and so there will be no references to the show in this section. Sorry if I disappointed anyone :(. 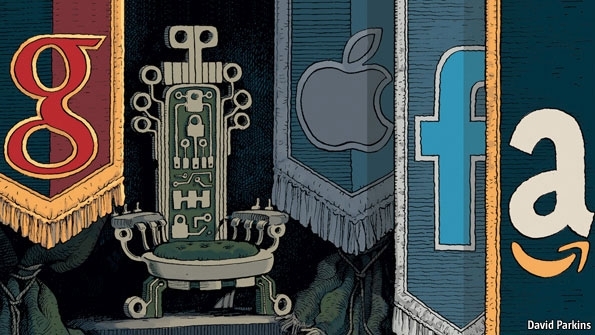 There are four main companies that are fighting for the power over the consumer internet: Google, Apple, Facebook, and Amazon. This article was written in 2012 and there have been many changes to the four companies and their strategies. I have included the link to the article in case you would like to read about what happened in 2012. Here I will just be talking about the changes in each company. Google has been very busy changing up their strategy so that people will focus on their “authority, semantic relevance, and the user experience” (Enge). This strategy change has some positives and negatives. One negative is that the ability to obtain keyword data for users who arrived at websites from a Google search has been taken away. This causes problems for the owner of websites because they are losing the understanding of how users got to their website and the thought process. This can affect the advertising that websites do because they will have a harder time knowing what attracts their consumers. A positive for Google is the strengthening of their platform by launching the Hummingbird Algorithm in September. This allows for Google to understand conversational search queries instead of just putting in keywords. I love this new aspect of Google because I feel more comfortable putting in sentences when searching instead of keywords. Keywords can be tricky sometimes and cause irrelevant results. There is still some work that needs to be done with this algorithm but this has had quite a substantial impact for Google already. Another positive is that the Androids for Google has helped their shares rise over the $1,000 mark. They have not struggled with the advertising switching over to mobile and this has been a great gain for them with the pay-per-click. Here is a link to a video that goes into more depth about the Google achievement. http://live.wsj.com/video/what-pushing-google-shares-to-all-time-highs/D21D8ACD-FA88-4644-8409-E0E431FA5876.html. Facebook has not gained the most positive feedback from its users lately. If you haven’t checked your privacy settings lately you better. They have removed the privacy settings of making you unsearchable. Your friends are not the only people who can look for you and the new Graph Search can lead anyone to your profile. Another tweak that Facebook has made is the Facebook brand pages are getting less traffic and free advertisement is becoming less available. This is “screwing over the social media marketers.” (Carlson) The number of people who are seeing these posts are declining. I can see why Facebook is making this change because it builds up revenue but they cause brands to lose customers and risk angering them. Moving to the last company is Amazon. They seem to have little changes since 2012. 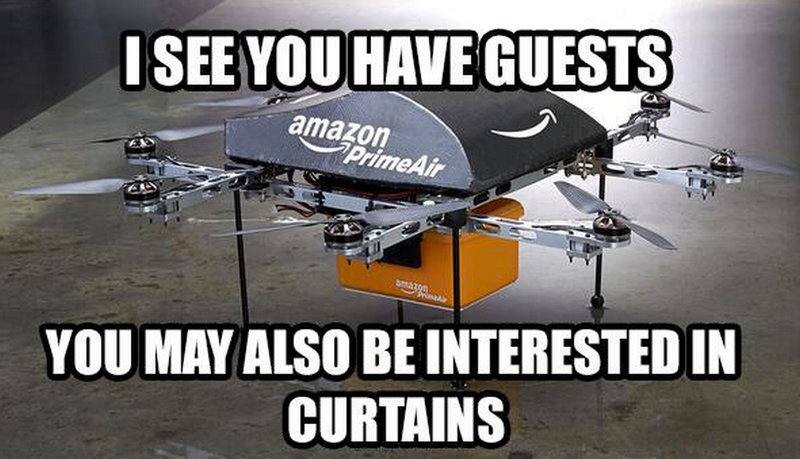 They have been talking about having drones deliver packages to your house, called Amazon Prime Air. I would have to say this is taking stalking to a whole new level! I would not let a drone come to my house because who knows what else that drone could be used for. Also let’s think about the jobs that will be taken away if packages are not needed to be delivered by UPS or FedEx. Don’t freak out yet though because these drones are not going to be ready for roughly four to five years. A rumor that I have read about is the Amazon phone to be created by HTC. This is likely to happen in 2014 but has yet to be reported on with much detail. I am excited to see what Amazon comes up with. Rothschild, Evelyn. The Thing About Ethics Is, I Have None. N.d. MEME. diylol.comWeb. 6 Jan 2014. 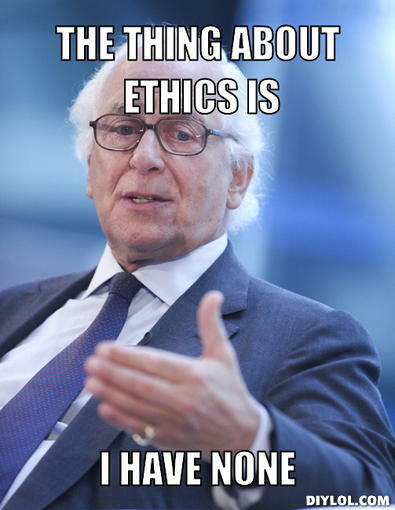 <http://diylol.com/meme-generator/evelyn-rothschild/memes/the-thing-about-ethics-is-i-have-none&gt;. Mcgee, Matt. Search On Smartphones Up 26 Percent, On Tablets Up 19 Percent In 2012 [Study]. 2013. Photograph. n.p. Web. 6 Jan 2014. <http://searchengineland.com/search-smartphones-tablets-up-2012-153328&gt;. Joe, Bobby. Mandatory Pre-video Advertising. 2013. MEME. cheezburger.comWeb. 6 Jan 2014. <http://cheezburger.com/7983770624&gt;. Parkins, David. 2012. Photograph. The EconomistWeb. 6 Jan 2014. .
Enge, Eric. “6 Major Google Changes Reveal the Future of SEO.” Search Engine Watch. N.p., 30 Dec 2013. Web. 6 Jan 2014. <http://searchenginewatch.com/article/2301719/6-Major-Google-Changes-Reveal-the-Future-of-SEO&gt;.